I’ve just returned from a Corbynesque country, where the State owns and runs the railways and its energy utilities, productivity is 27% higher than in the UK, there’s more annual leave and the top rate of income tax is 45% for earners over £110,000. 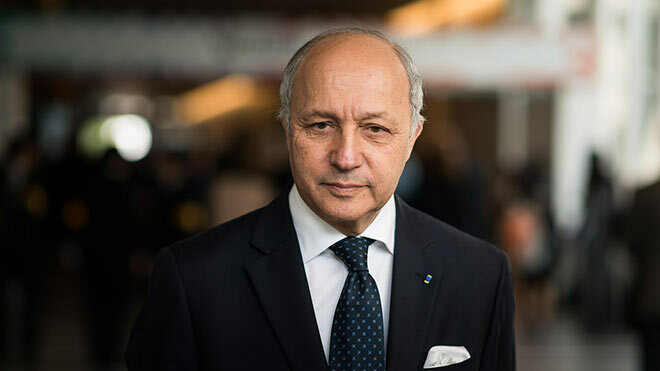 It’s France, and just yesterday in its great city auditorium, the French Foreign Minister, Laurent Fabius respectfully addressed over 200 trade union delegates from every continent on our shared hopes and fears for the UN climate change conference that his government will host in Paris in 80 days’ time. Fabius is a key figure because he will preside over the UN’s climate negotiations in December. The attitude in his address towards trade unions as a social movement could not provide a more stark contrast to the hand shown by the Cameron government. History will remember this Conservative government’s Trade Union Bill as the biggest attack in thirty years. Not just against trade unions, but against our best chance of raising productivity, pay and demand. Because here is a simple truth: you can’t create wealth without the workforce. And you can’t spread that wealth around fairly without trade unions. TUC Congress 2015 supported the trade union mobilisation around the Paris COP21 climate talks, including offering its backing to the national march for climate, justice, jobs on 29th November in London. Raise ambition and realise the job potential of climate Acton. Hold global warming to below 2 degrees above pre-industrial levels. Deliver on the $100 billion of climate finance a year by 2020 for developing countries to sea its climate change impacts. Commit to securing a just transition for workers and their communities. Once again, the ITUC emphasised the importance of including the operational language of just transition and decent work as objectives of the Paris agreement. Social movements including trade unions are mobilising for major national demonstrations in cities across the world on the weekend of 29 November, on the weekend before the UN deliberations begin. Under the banner, It’s Time to Act in the UK, unions including UCU, PCS and Unison and the FBU are preparing to be represented on the UK national demonstration in London. Thankyou for this concerning article Philip. After re reading it, I can only describe Cameron, Osbourne et al as very selfish, arrogant & self opinionated; programmed at best only to think of themselves, short term until your election year 2020. When it comes to this now most urgent subject of Climate Change, they really do live on a different planet. ‘The greenest government ever’ will forever remain a very heavy hypocritical anchor around Cameron’s neck! I shall definitely be patiçipating in the 29 November 2015 demonstration where I am. I just hope that the really massive turnout of the world developed countries population on this very important day will send a very strong ‘enough is really enough’ message to yours & other Climate Change inward thinking governments. Good luck to you & your colleagues with this event on Saturday, 19 September 2015. I hope that it at least achieves some if not all of the objectives you seek during the next critical few months. Possibly, probably many of the people in Schumacher North in Leeds would be interested in this.